I’ve just had to switch our schedule up yet again. But I’m glad I did. Eventually it will sink in my thick skull that the day goes by so much more predictably if I cater to their learning styles rather than my teaching preferences. Last Year their Individual Work was labeled “Independent Work” and “One-on-One Work” instead of Computer/Non Computer but we have since lost the use of a computer. Plus they prefer the tower hooked up to the Big Screen (who wouldn’t??). This has been even more appropriate with the adoption of the Easy Peasy All in One Homeschool curriculum for The Elder (more on that transition later). I went through months of searching for the correct curriculum that would “work” for The Younger who’s style includes lots of hands-on, lots of movement, lots of interaction, lots of noise, lots of things going on at the same time. Whew! The Elder pretty much can handle any curriculum that I throw at him as long as it’s quiet, he can be somewhat alone (I can be close to him but I get “shushed” a lot), he can self-teach – only needing me to monitor frustration level, or if it is something that I have deemed as “one-on-one” work. This means that The Elder wakes up an hour before the rest of us (on his own) to do his individual work in peace…heavenly. I wake up and there’s only half-an-hour’s worth of teaching to do with him individually and The Younger isn’t even awake yet! Time of Day is very much so a part of one’s Learning Style! Well we decided to compromise because I am not a very good teacher (mom/person/etc.) in the late afternoon when I’m just counting the minutes before The Hub comes home so I can find a quiet place. Plus the neighborhood kids are home or done with their school and are ready to play, so it wasn’t a difficult compromise on his part either. We switched his Individual Work to right after lunchtime and moved his Free Time up to the morning. The deal was that, in order to do this, he would have to stay a day ahead and do “Tomorrow’s” assignments Today. That gave me the peace of mind that he was not “falling behind” in the lesson plans (more on that neurosis later). He was so excited that he actually did TWO DAYS worth of assignments yesterday after lunch so that we could start the new schedule today! So here’s the new plan we are trying today. Yes, I had to forego my mommy break after lunch, but it will be worth it if it means mornings won’t be a struggle for me him. 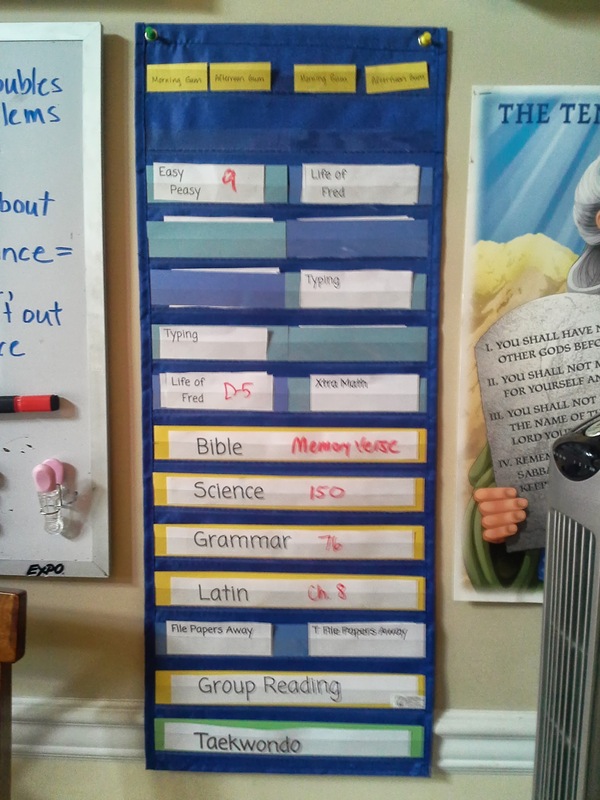 How do you tweak your schedule to accommodate the different learning styles of your students?